Your wedding is not just another party; it’s one of your life’s most important events. That’s why we are here to tell your personal story. From your wedding morning preparations to your walk down the aisle, from your banquet and reception with friends and family to those romantic moments alone as newlyweds, we will take unique pictures of all the unique details, for you to treasure forever. When you book your wedding at this premier Long Island venue, you can be sure that your event will be perfect. The Inn has been a local landmark since 1938. Their event planners, management team and culinary staff boast more than 200 years of combined experience. Equally impressive is the fact that the Inn was presented with one of The Knot’s 2018 “Best of Weddings” awards for its Long Island venue. 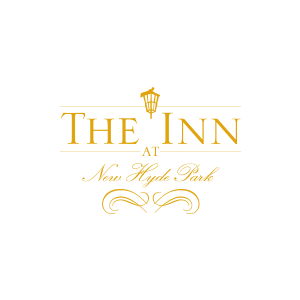 Your wedding at the Inn at New Hyde Park will be like a dream come true. The newly renovated venue traverses two city blocks, home to several spacious ballrooms adorned with cherry wood dance floors, vaulted custom ceilings, and ornamental crown moldings. You and your guests can dance beneath the crystal chandeliers and enjoy cocktails at the mahogany custom bars. You want your bridal suite to have everything you need, and the bridle suites at the Inn will exceed your expectations. Each suite has full-service amenities, private restrooms, a buffet, custom bars, and bridal attendants. There are plenty of opportunities for stunning photographs at the Inn at New Hyde Park. As well as the elegant ballrooms and suites, we can capture precious moments in the outdoor gardens, in the two gazebos and by the illuminated waterfall. The spacious outdoor patio with a Koi pond and bridge overlooks a breathtaking manicured landscape. This area is not only ideal or photographs but is also perfect for gathering with your wedding guests. The team at the Inn at New Hyde Park will help to make your wedding marvelous. They provide all the special effects to go along with your unique wedding. You can book weekend or weekday weddings to suit your needs. Your guests will be talking about your spectacular wedding day for years to come. Because your wedding is a signature event that you want to remember forever, we are here to bring our photographic talents to capture this milestone for you and the love of your life. Contact us at your convenience. We will be happy to make a booking to meet with you, so you can examine our portfolio of wedding photographs, read our testimonials and discuss your plans for your wedding day.